This blog is far overdue! 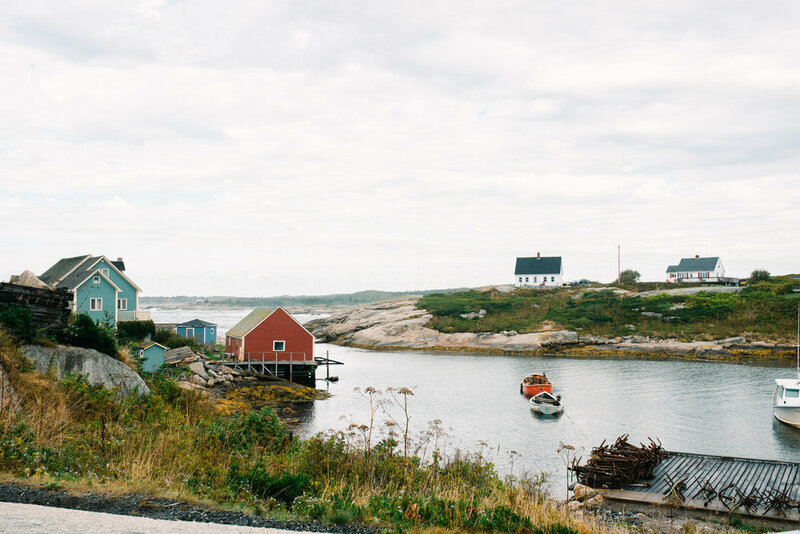 Nigel and I took a two week road trip to Nova Scotia in September 2018 and I’m excited to be sharing the photos from our trip with you today. 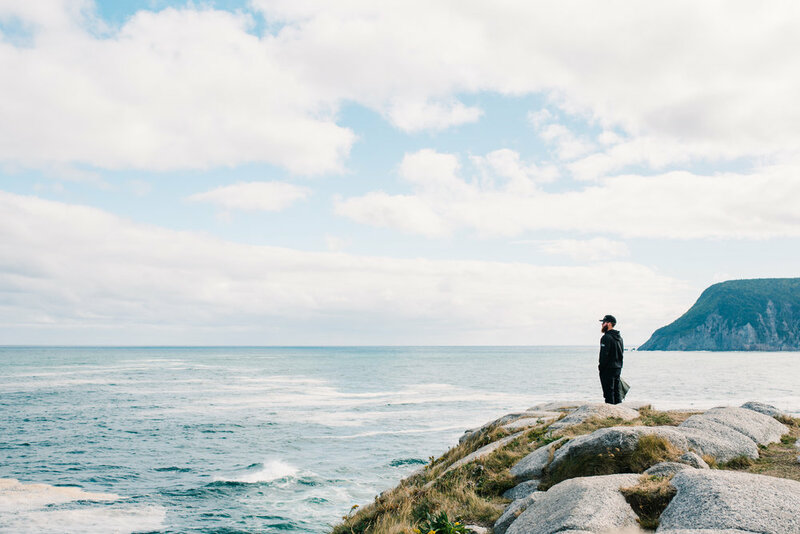 We drove from Hamilton to Nova Scotia in our Ford Ranger and rooftop tent and camped along the way. A lot of people have asked us about the tent so here are the details! It’s called a rooftop tent and it sits on the top of a roof rack on the cab of our truck. It it super quick to set up, you just take the cover off and use the ladder to unfold the tent base. The main support of the tent is built in so the only pegs you have to put in are to support the awnings. There is a built in mattress and there is enough room to leave your sleeping bags and pillows inside so the whole tent set up moves QUICK. We loved how easy it is to set up and that you don’t need to worry about the terrain, you just have to make sure the truck is level (we used wood at times to prop up a tire etc. to level it and found that easy enough). The downsides are that once you’re set up for the night, you have to pack up again if you want to leave camp, so it does take some planning ahead. Because it’s at a higher elevation you also feel wind a bit more than if you’re on the ground. All in all we love the tent and highly recommend it. Ask me any questions about the tent in the comments. We had a rough (VERY rough) idea of places we wanted to go, but decided each day where we would be staying using a combination of the IOverlander App for off road spots, National Parks and Provincial Campsites. Since used our rooftop tent and the truck has four wheel drive, we had plenty of flexibility for campsites. It was very much a ‘wing it’ trip and we learned that we’re not actually that great at winging it. Next time we’ll plan a little bit better before we go (more on that to come!). This was a big driving day to push to Nova Scotia. We drove as far into Quebec until just after sunset and stayed near the St. Lawrence River at a ‘Bird Sanctuary’. There were no birds. It was terrible (at least it was free?). It was really windy, the rooftop tent was flapping around in the wind and we didn’t not sleep at all. It was too close to a busy road and weird people kept driving past our tent throughout all hours of the night. This was lesson 1 in ‘we’re not really winging it kind of people’ and this also lead me to be very paranoid about how windy our campsites were for the remainder of the trip (it gave me what I like to call ‘Wind Stress’ lol). This was a much better day. We found a secluded campsite that was steps away from a River in New Brunswick. Had a nice, peaceful night and the next morning we were able to take a chilly wash in the river! Holy smokes finding this camp site along Crooked Creek was an ADVENTURE. Winding roads lead us to an off road trail that Nigel ambitiously and confidently took. We were super in over our heads on really rough terrain and there was serious risk at times that we weren’t going to make it up some technical hills – oh and we had 0 cell reception and couldn’t access a map. We later learned we were on a snowmobile trail :P oops! I was 10/10 on the freaking out scale but we made it and we’re still married! Sadly I don’t have a photo to share from that part of the day. We eventually found our spot right along the creek and it was beautiful and worth the craziness of the day. The next morning we started off at Hopewell Rocks and walked along the ocean floor. Really cool, very touristy, but overall worth it. I am glad we went in the off season because it was pretty busy and I can’t imagine what it would have been like in July. We made it to Nova Scotia and stayed in a hotel off the highway. We needed time to regroup and figure out where we were actually going to stay. Mostly we needed wifi for an extended period of time. 10/10 great idea. It also rained heavily that night so it was nice to avoid the rain. 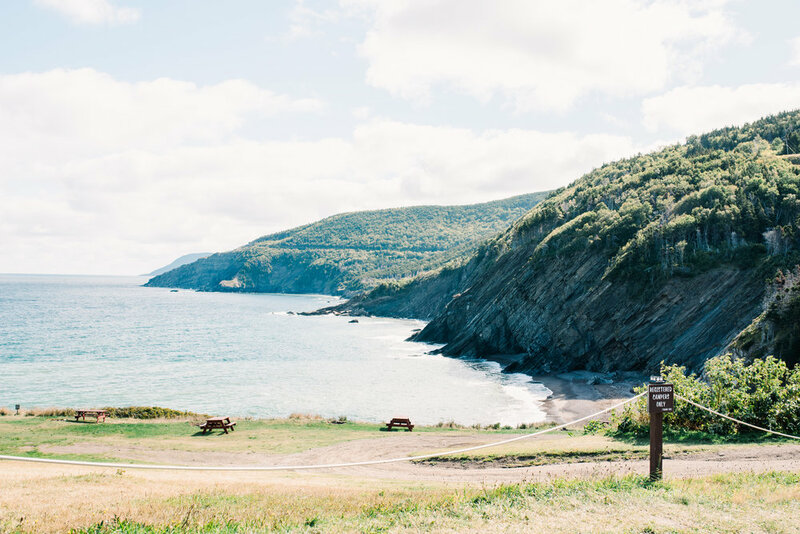 We stayed at Cheticamp Campground at Cape Breton Highlands National Park. We explored around Cheticamp and saw some cool scenery. The day in a nutshell was pretty much ‘we drove around and looked at cool stuff’ which was much cooler than it sounds in this post. 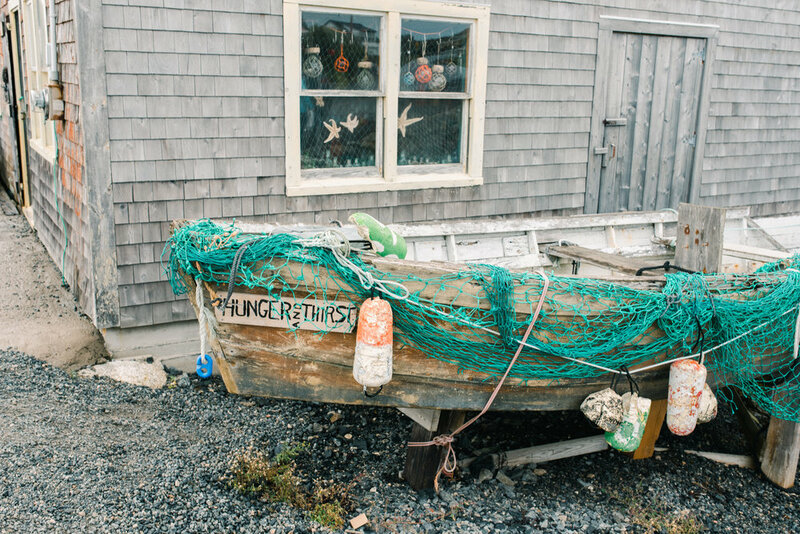 This is a must if you go to Nova Scotia. 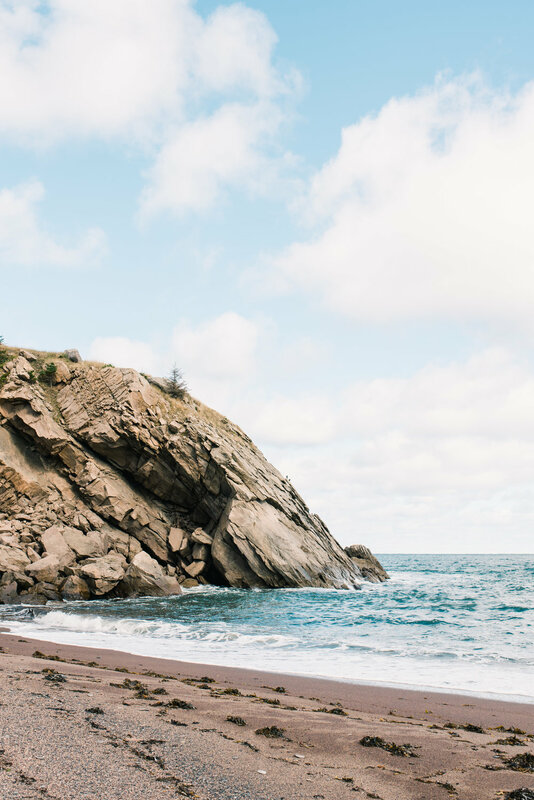 The Cabot Trail is just so cool and beautiful and it’s an incredible drive that will make you want to stop 500 times to look around and pick your jaw up off the ground. 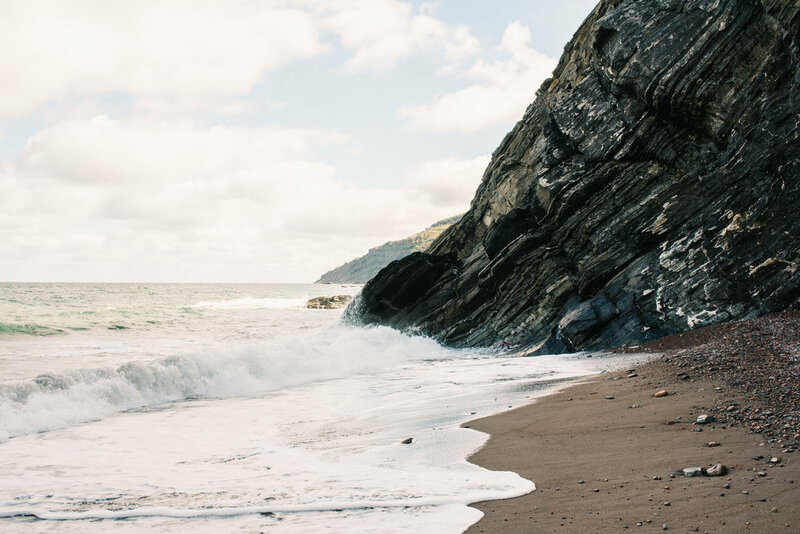 We also made a point to stop at Meat Cove, which is the most northern tip of Cape Breton Island. We ate lunch by the ocean and walked around and even though it is way off the regular path I recommend taking the drive if you have time. So basically it was another day of driving around, stopping to look at cool things and camping. We stayed at Ingonish Campsite that night. We also had time for a hike near the campground. We did the Middle Head Trail which lead to an incredible lookout and all in all this day did not disappoint. The best part of traveling in September is that there are so few people everywhere you go. At the campgrounds we could drive around and take our pick of sites and nothing had to be booked in advance. We aren’t crowd people and felt like we had exclusive access to this incredible scenery that we barely had to share. The worst part of travelling (well, at least camping) in September is that it gets COLD. Real cold. We were warm sleeping in the tent but sitting around a fire didn’t quite cut it. 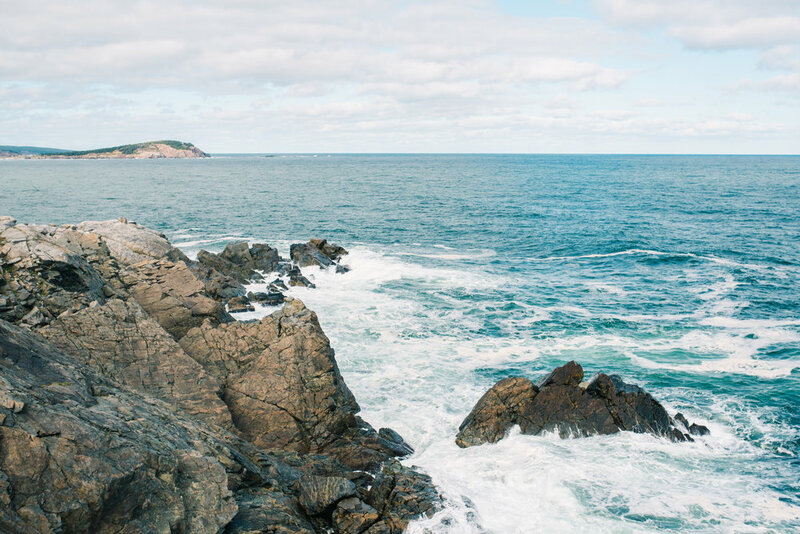 We left Cape Breton Island and made our way to Halifax, staying just outside at Dollar Lake Provincial Park. Nothing too exciting happened here, it was a big driving day and we found a nice quiet campground. Woke up at 5am the next morning to the craziest wind, packed up and started driving and were hit with a super storm! Glad we didn’t sleep in because packing up the tent in that would have been NUTS. This was another part of the trip where planning ahead would have been a good idea. We started thinking about how many days we had left and where we wanted to go. 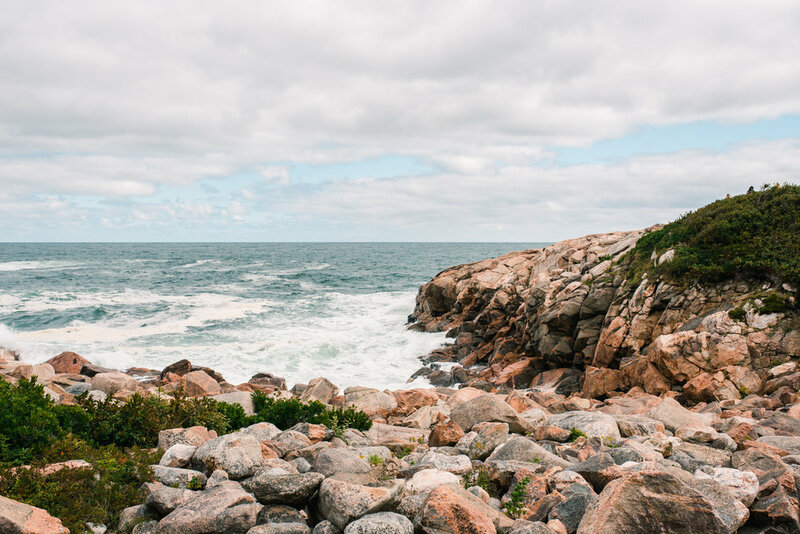 While we wanted to see the Eastern coast of Nova Scotia we also couldn’t find a way to space out our travel and camping in a convenient way where we saw what we wanted to see without too much driving. It was either too much driving/not a lot of sight seeing or very little driving and there wasn’t enough that we wanted to see that would fill the time. 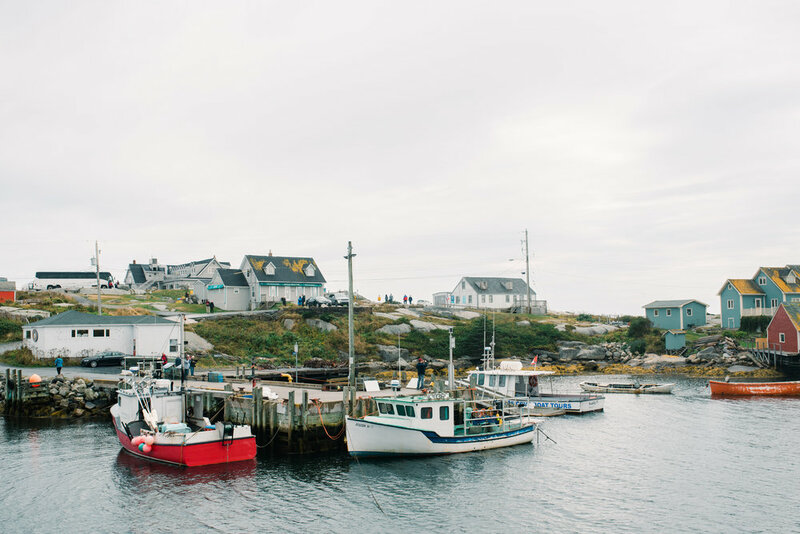 We decided to check out Lunenbourg, then stop by Peggy’s Cove (because … you have to) and then spend the night in downtown Halifax. After Peggy’s Cove, we ended up in Downtown Halifax where we got stuck in traffic and our hanger kicked in and we both decided that we didn’t actually want to do anything in Halifax because it felt too busy. After a week of ghost town camp sites and so much peace and quiet, we just really didn’t want to. We have both already been to Halifax (I do recommend checking out Pier 21 which I did when I was younger!) so it didn’t feel like a major loss to skip it. So we hopped back in the truck and decided to head north to Five Islands Provincial Park. This was cool! We found a great site at Five Islands and stayed there another night. 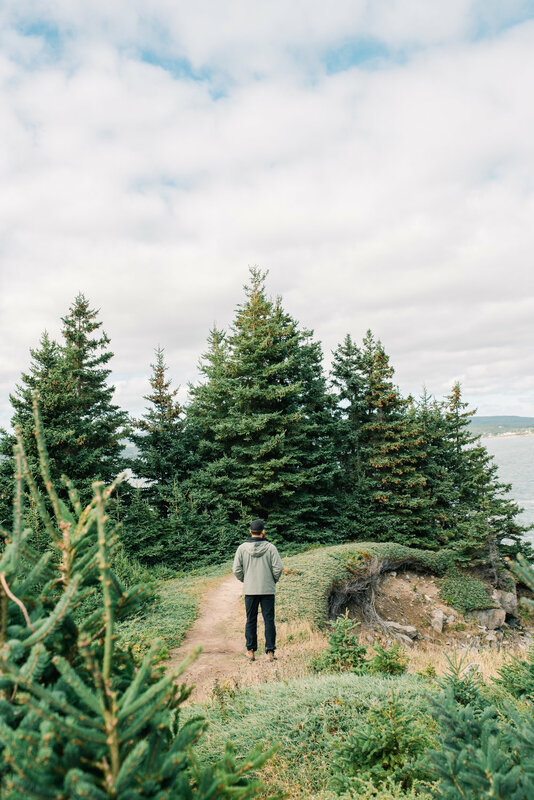 We drove around to Cape D’Or / Advocate Harbour and then returned to the park and went on a super long but crazy great hike along the ocean floor. I spent a lot of the trip feeling amazed by the Bay of Fundy and the tides. It is so crazy that they move so significantly, and parts of your day are dictated by when the tide is in and out. This was a highlight for sure. We ended the trip staying at Nigel’s coworker’s cottage in Lake Didgedeguash NB. It was a small town NB authentic experience. We decided the next day to drive straight home through Maine. The fall colours were in full swing and even though it was a stupid long drive we were happy to be home and in our warm beds again. We also ended up having a couple days at home before going back to work, which I think is always a good idea coming off of a big trip! All in all we were super happy with the things we got to see. We were really focused on seeing beautiful landscapes and didn’t care so much about dining out/entertainment and we feel like we accomplished just that. If you’re interested in more information about anything at all, ask away in the comments below!